If you are looking for my Bead Soup post click here. I've spent some time lately looking at my Etsy shops and...I've decide to add a DIY Design Elements section to my jewelry shop and close my supply shop. There are still a few listings in my supply shop, which will be available until they expire around the end of June. 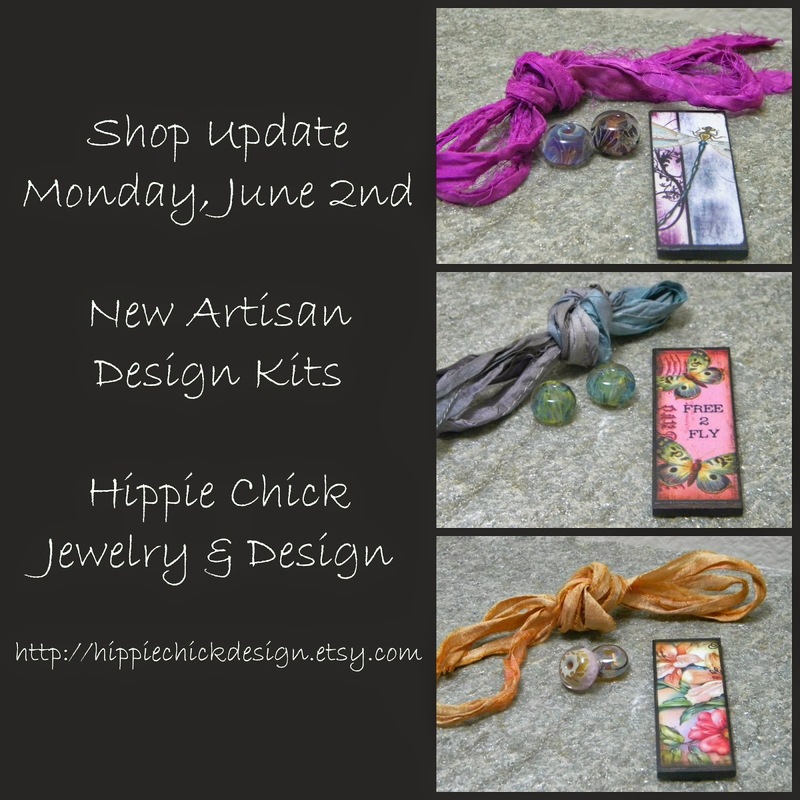 In the meantime, I have new supply listings, starting Monday, June 2nd that will be listed here. 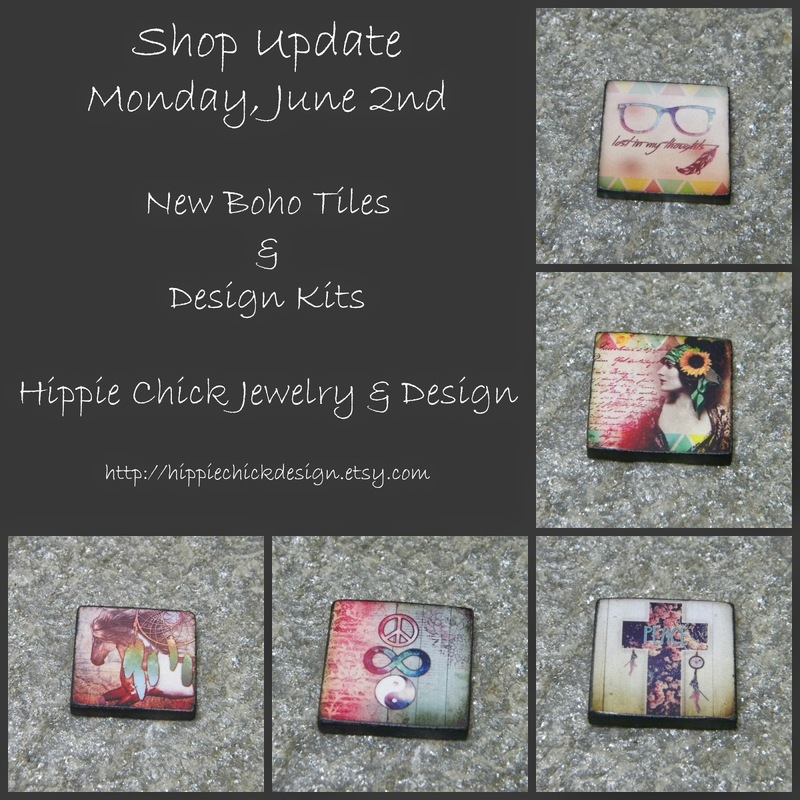 At little sneak peak...some of the new tiles I will be listing featuring gorgeous Boho images from Calico Collage. If you follow my work you know Ella is one of my favorite digital designers! I will also be adding new design kits...I'm very excited to offer these! Each kit will feature one of my handmade wood tiles, a selection of handmade beads from a variety of artists and a length of sari ribbon. All specially selected to inspire your design muse! The initial kits I've prepared include beads from Gaea and/or Firelily...if these kits are popular I will continue adding other artists to the mix...and remember I accept custom requests!